Although we are a special school, we have the same aspirations for students as mainstream schools. We believe that disability is not a barrier to success and aim high for all our pupils. The heart of the school aims to ensure students progress in all areas of their lives. We believe in nurturing the whole child. Although we deliver the National Curriculum, we treat our students as individuals and know that different people have different learning needs. Students are at the heart of all that we do, shaping a curriculum to enable them to make progress both socially, emotionally and academically. The curriculum we offer is broad and balanced and offers specific provision for student’s emotional difficulties. We have developed the use of curriculum drivers and these underpin our teaching. These make a direct difference to students taking up their place in the world making a successful contribution to the communities in which they live. At Key Stage 2 we have a strong ‘learning through play’ culture. Pupils are often undertaking practical learning, motivating students’ engagement. At Key Stage 4 we offer a range of options, in terms of qualifications and the learning styles that go with them. 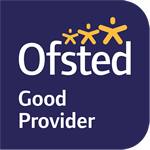 Every child will receives quality advice and guidance to help them and their parents/carers make decisions about the best courses for them for the future. Courses can change on a yearly basis, as we aim to personalize our courses to students needs and preferences. The New Horizons ethos means that we demand the highest standards of teaching from our staff, and the highest standards of engagement, cooperation and resilience from our students. We believe that teachers have a right to teach, students have a right to learn and that we work together to ensure nothing must get in the way of this. We pride ourselves on the excellent relationships between staff and students. We have a Student Council and have increasing opportunities for our younger students to be supported by older ones. Staff monitor student progress across the different subject areas. Parents are routinely invited to discuss their child’s progress and to see their child’s work. During the course of each academic year all parents receive two reports in which the achievements and the successes of the child are recorded and targets for the future agreed. Staff seek to involve students actively in their own learning and assessment and to encourage them to recognise their achievements and to be aware of their own potential. At Key Stage 2 Literacy and Numeracy are taught in the mornings, however the weekly timetable is integrated with subjects being taught in themes in a cross-curricular way. Parents will be informed of days for PE and swimming through the termly newsletters. At Key Stage 3 and 4 the school operates a weekly timetable. GCSE Design Technology – Resistant Materials.